There is no denying that AMD's popularity has soared since it released the first generation of their Ryzen processors. AMD continues to push the boundaries of their 12nm "Zen" architecture, with the release of the 2nd Gen Ryzen Threadripper. Based around the 2nd generation AMD Ryzen Threadripper and their X399 chipset the Serenity AMD Threadripper Workstation is one beast of a machine! 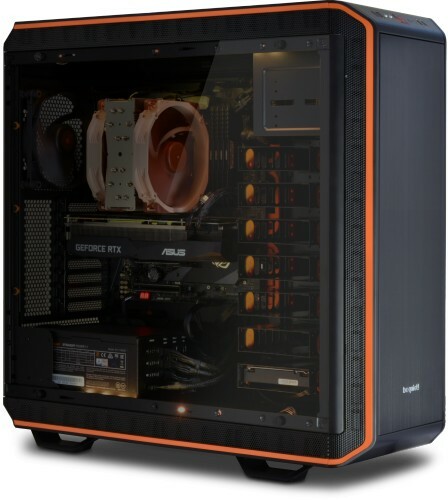 It can be configured with a CPU that boasts 32 cores and 64 threads and a massive 128GB of DDR4 RAM. Of course this comes at a high cost, so for customers looking for extreme performance without having to remortgage their house, AMD have a more cost effective CPU that features 16 cores and 32 threads. This "lower" performing CPU still packs a massive punch as it compares with Intel 16 and 18 core Skylake-X processors while being significantly cheaper. Therefore, if you are looking for a very serious powerhouse of a PC then look no further than the Serenity AMD Threadripper Workstation. A serious PC for the serious user! The high core count of these CPUs is just one of the amazing benefits the AMD Threadripper offers. The CPUs also feature AMD SenseMI Technology, 12nm "Zen+" Architecture, Quad-channel DDR4 ECC memory, an unprecedented 64 PCIe Gen3 lanes and massive combined cache of up to 80MB. What all this means is that you'll have a PC that breezes through tasks like 3D modelling, every stage of your creative process (including VFX, modelling, editing, tracking and mastering), and video rendering, all at blistering speeds. You can even experience game levels as you develop them, test new content in real-time, or just game for the fun of it while your PC compiles and renders. AMD Threadripper processors are so powerful, you don't need to stop producing while you play. But don't take our word for it, Tom's Hardware have published the following article, AMD Ryzen Threadripper 2 vs. Intel Skylake-X: Battle of the High-End CPUs and we highly recommend you take a look. 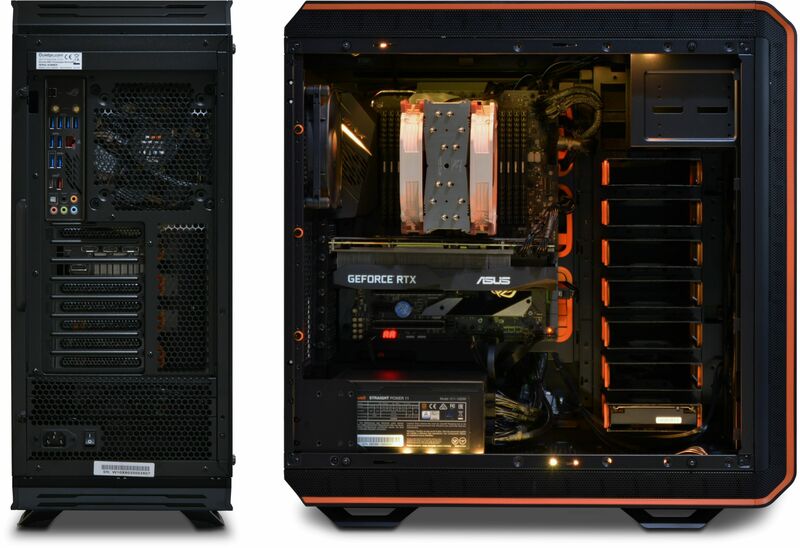 As you can see from the below two images we are able to build the PC into either one of the Be Quiet Dark Base 900 cases or one of the Nanoxia Deep Silence 5 alternatives. Any one of these chassis are more than large enough to accommodate a system of this type. They all support extended ATX motherboards and many 2.5 / 3.5" drives, also they are all sound insulated to help keep noise to a minimum. They are all supplied with three 140mm fans, two at the front and one at the rear and they can all be controlled by the chassis built in fan controller. It is difficult to recommend a specific chassis as they all have different features and benefits, it is therefore down to personal preference. There is a physical difference in size between the be quiet and Nanoxia chassis, with the Nanoxia being the smallest of the two. We urge you to view the features and specifications of each chassis to determine which is best for you, but if you want a quick synopsis then the following may help you decide. 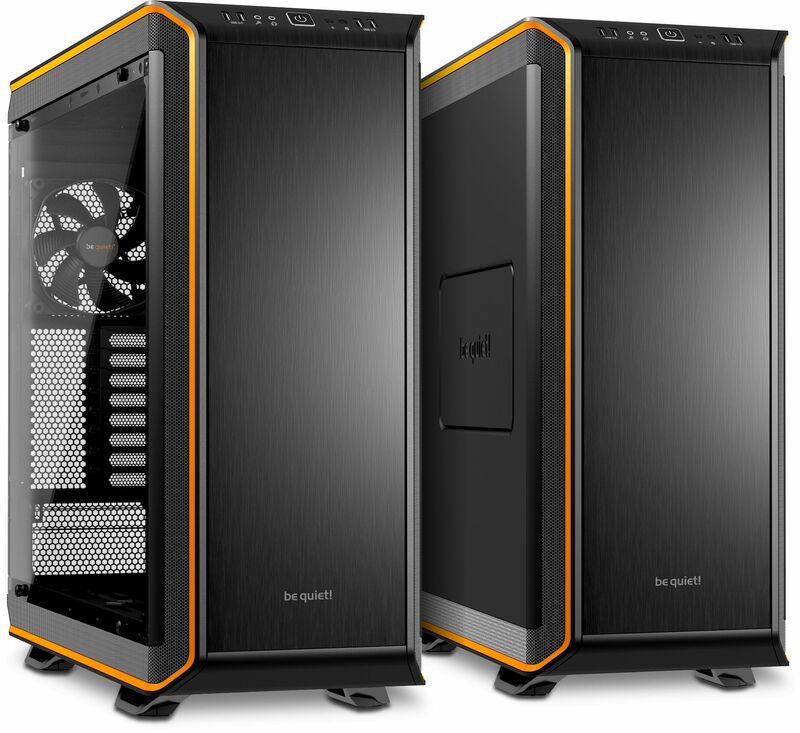 The cheapest of the chassis is the Deep Silence 5 and the only difference between them is the colour, one is black and one is anthracite (dark gray). 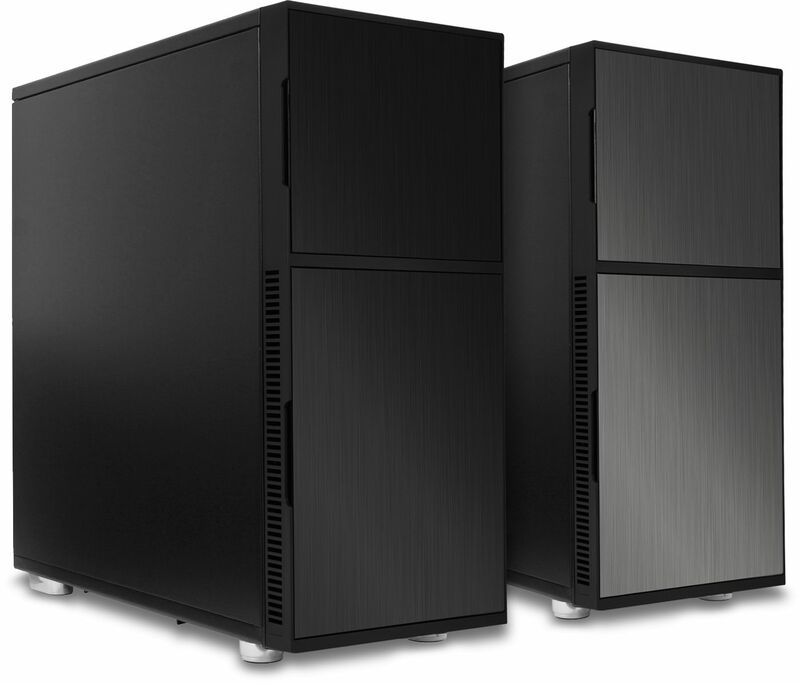 The Be Quiet Dark Base 900 chassis are quite different from one another. The Dark Base Pro offers the following over the non-Pro version - Qi charger (a flat surface that can wireless charge compatible devices, like mobile phones), RGB LED illumination and a tempered glass side panel. Apart from those three features the Dark Base chassis are identical. Whichever chassis you opt for, we assure you it will be the perfect home for all of those valuable components. When specifying your new PC's storage options using our system configurator below, you will be offered a choice of drives which vary by price and capacity. There are two primary types of storage. A conventional hard disk drive (HDD) offers huge storage capacity for a low price, but it won't be especially fast and it will generate a certain amount of running noise since it contains a constantly-rotating spindle. A solid state (SSD) or a M2 drive on the other hand, offer tremendous speed and absolute silent operation, but they cost more than an HDD for any given capacity. 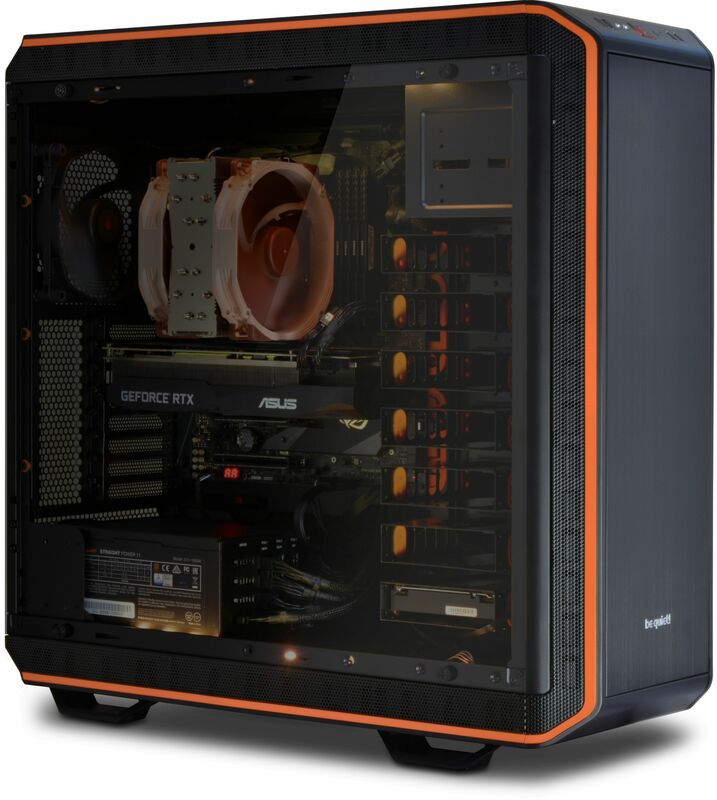 Nanoxia Deep Silence 5 Rev.B Black Low Noise Big Tower PC ATX Case ? ASUS PRIME X399-A AMD SocketTR4 EATX Motherboard ? ASUS ROG STRIX X399-E GAMING Wi-Fi AMD SocketTR4 EATX Motherboard ? 3.5GHz AMD Ryzen Threadripper 2920X , 12C/24T, 38MB cache, 180W CPU ? 3.5GHz AMD Ryzen Threadripper 2950X 16C/32T, 40MB cache, 180W CPU ? 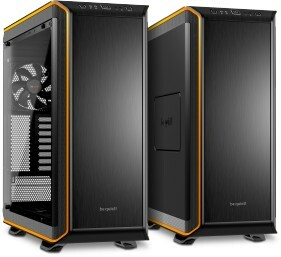 3.0GHz AMD Ryzen Threadripper 2970WX , 24C/48T, 72MB cache, 250W CPU ? 3.0GHz AMD Ryzen Threadripper 2990WX 32C/64T, 80MB cache, 250W CPU ? Noctua NH-U14S TR4-SP3 Threadripper CPU Cooler, 140mm fan ?